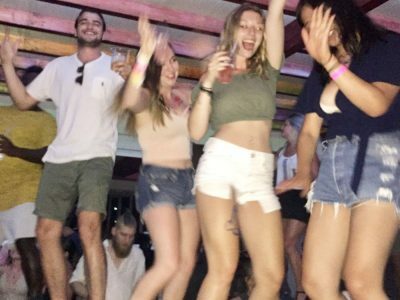 Since the 1980s, backpackers from around the world have spread the word about this legendary resort on the Greek island of Corfu, which has earned its reputation as a traveller’s party paradise. 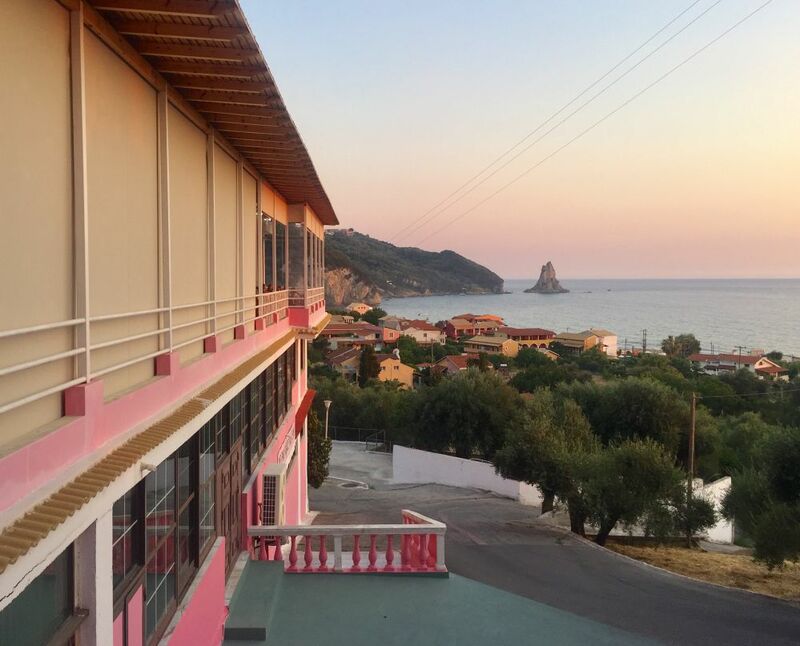 The youth hotel and hostel started as a one-man-tended beach bar on Agios Gordios Beach. With a savvy business plan and knowledge of what appeals to backpackers from his own travels, Dr. George’s idea grew to be a giant youth hostel with over 300 beds. Guests would come off the ferry for a night or two, and end up staying sometimes for weeks… or even the whole summer! The Pink Palace has become a destination for backpackers who come to Corfu specifically with intentions to visit the famous hostel. What is it that separates The Palace from other hostels in Europe? How has this place become so legendary, capturing the hearts of adventurous souls and being the birthplace of lifelong friendships and memories? To truly experience a stay at The Pink Palace, you’ll have to find out for yourself. Here’s a few reasons why the hostel has everything a young traveller seeks in their ultimate vacation haven! Are you looking for a place to party, drink, dance and let lose? Well so is everyone else! People come to The Pink Palace because it’s pretty much like Spring Break, ALL SUMMER LONG. Having three bars and one nightclub on site, with the lobby bar open 24 hours a day, you’ll never be turned down for a cocktail request, shot of ouzo, or have a problem finding a buddy to join you. Twice a week in high season, we throw our legendary toga parties, and when the water is calm we call up Captain George for a day out on the booze cruise. Our drinks are cheap and delicious, and we always have specials, and we play the best dance music in Agios Gordios Beach. 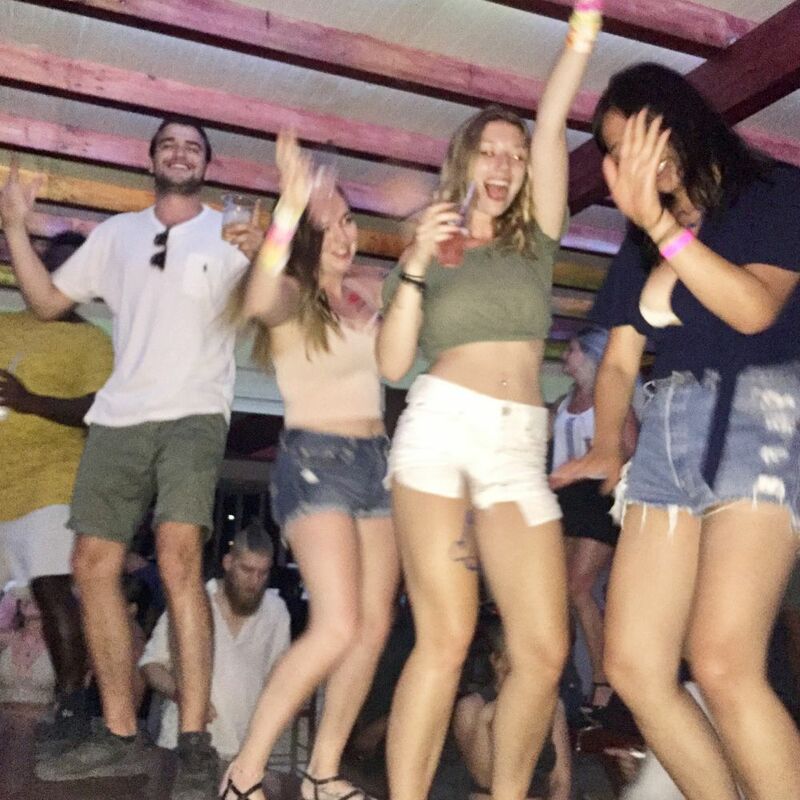 Don’t worry- even if partying isn’t your top priority or you need a day or two to recharge, the resort is so large you’ll find be able to find peace and relax in solitude on the beautiful beach, or treat yourself to a private room overlooking the hillside. 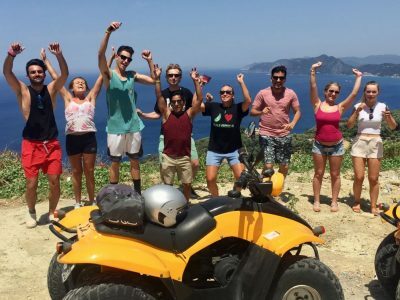 Have you ever been to a hostel so massive that it’s common to see the staff riding around on Quad Bike ATVs? The Pink Palace contains both a hotel with private and semi-private rooms up at the reception area, and a hostel featuring the traditional dormitory-style sleeping arrangements down by the beach. Unlike boutique European hostels, The Palace has almost everything you need on site. Restaurants, bars, a dance club, jacuzzi pool, laundry, convince store and of course, the beach… you’ll never have to leave! The property is epic for some late night wandering and adventures, or a giant game of hide and seek. If you do need to venture out for pharmacy products, a doctor, an ATM, or some specialty items, the village of Agios Gordios Beach is less than a 5 min walk down the hill. Did we mention you can rent the ATVs for transportation not only around the resort, but to explore the rest of the island? Most of the famous European party hostels are located in metropolitan city centres, miles away from natural beauty. The Pink Palace is situated on a beachfront property with a backdrop of luscious green mountains. No matter what part of the resort you are staying in, you’ll have amazing views outside your bedroom door. Our beach extends down the shores of Agios Gordios, a majestic shoreline with rock formations, caves, and places to cliff jump. 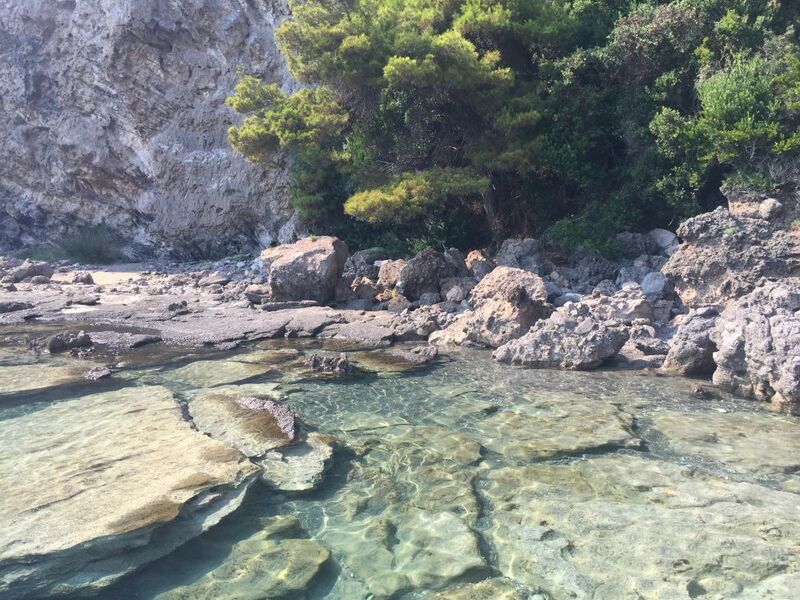 If you haven’t seen the breathtaking mountains of Corfu, look them up. You’ll get a scenic drive through them once The Pink Palace shuttle picks you up from the airport or ferry terminal. We also offer guided excursions to show you the best places of the surrounding land and sea! When on the road for weeks or months at a time, it’s normal for any traveler to get home sick. Nothing beats the true welcoming hospitality of a family-run business. Our staff are here to make your experience comfortable, whether that be organising your shuttle service, getting you extra towels, or coming to your rescue with some greasy eggs and bacon to cure your hangover. And who can resist the temptation of ice-cream after dinner? Upon arrival we welcome you by joining you with a shot of ouzo. Just like home, we clean your rooms, offer a complete laundry service, and the option to enjoy three delicious home-cooked meals a day. When you’re a guest at The Pink Palace, you’ll never be bored. Every day we offer guided safaris, tours, and games. Depending on the groups and the crowds (and sometimes the weather) we run a full day Quad Bike Safari taking you from the beautiful beaches to the tops of the mountains, the Kayak Safari along the tranquil shoreline of Agios Gordios Beach, and of course the notorious Booze Cruise. Even on days when it’s not quite sunny, the Activities Staff plan icebreakers, sports tournaments, or just rally people up to do something run and random. Sometimes we’ll invite you on a bus to tour Corfu town. Because of our intensive options for social experiences, you’ll never be alone as a solo traveller. It’s also not uncommon for people to make a circle of friends to travel with through Europe for the rest of summer. When you stay at The Pink Palace, you’re sure to get the most entertaining Greek experience. Our toga parties allow you to get dressed like the ancient Greeks, while continuing Dr. George’s spin with our own Pink Palace traditions- like a pink toga and a one-of-a-kind plate-breaking performance and ouzo circle. In our kitchens we cook authentic Greek-inspired dishes featuring fresh and healthy ingredients. Did you know that Greek food contains tremendous health benefits? No wonder we have so much energy to keep our guests entertained all day! On the guided safaris we incorporate stories about the island’s history and culture, revealing the rare gems which make Corfu and Agios Gordios Beach unique.